After acing the first part of the on-line forklift training class in about 20 minutes, I was prepared to move on to the next section: Stability and Capacity. You’ll recall the first part was an overview and a really surface look at the parts of the forklift, and after getting a little cocky and missing the first sample question I moved on and got all five of the actual test questions correct. Just the title of this section- Stability and Capacity- had me believing it was going to be a little tougher and that there might even be math involved. I was right, there was math, and even a little science. The Stability and Capacity section focuses on preventing the forklift from tipping over when it’s carrying a load. There is a lot of talk about fulcrums, centers of gravity, lift capacity, something called the ‘Stability Triangle,” and the distance from the forks. The bottom line is you can’t just eyeball a load and tell if your forklift can handle it or not. I imagine most of the loads a facility’s lift will be asked to handle are pretty uniform- the same thing (or close to it) almost every time. So once you have established what capacity forklift you need, you know your lift can handle everything coming in to your operation. But if there is ever any question about an unusually large load, finishing the Stability and Capacity section of the training will show you how to determine if your truck is up to the task. Initially, I was a little intimidated by the math. Math and I have never really seen eye-to-eye. While it is daunting at first glance, the math proved to be easier than I let myself believe and I passed the final quiz getting all eight questions correct. I did have a little glitch once I clicked “finish” and had to page through the sections one more time, but I was able to finish this section of the course in about 25 minutes. 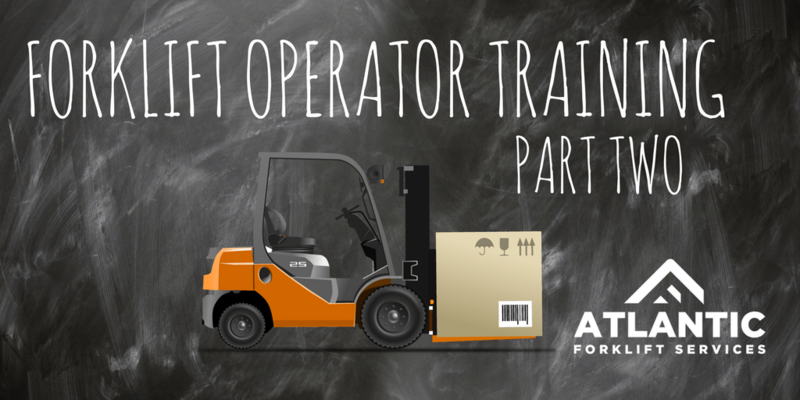 On to part three (Load Handling- next week) and as always if you think a career as a forklift operator is in your future, or you have staff waiting to take the course- give us a ring. We can get you started. Don’t let the math stop you.